▶ SoldThis listing was sold on Dec 4, 2017 for the price shown here. 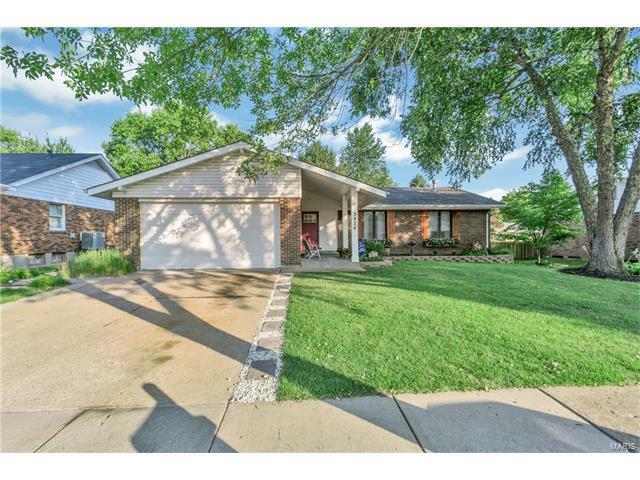 Beautifully landscaped front yard, covered porch and mature trees give this ranch home excellent curb appeal. As you enter this home the first thing you will notice is the spacious open floor plan. The great room offers a vaulted ceiling, corner fireplace with brick surround & gorgeous hardwood flooring. The custom built kitchen features beautiful white cabinetry with crown molding & pull out drawers, under cabinet lighting, center island, complimenting built in appliances, ceramic tile flooring & an adjoining breakfast area. The separate formal dining room is large & offers crown molding as well as double french doors that lead to the large deck & private pergola surrounding the huge private swimming pool! The master bedroom offers hardwood flooring, crown molding & an adjoining master bath with chair rail, ceramic tile & shower. The finished lower level features additional living space with a large rec/family room, workshop/hobby room, 4th bedroom/sleeping area & 3rd full bath!